Very well maintained and loved duplex with shared oceanfront pool. Beautifully decorated 7 Bedrooms and 5 Bath property has everything you need for a well-equipped family vacation. Large flat panel TV in the living room with Blu-ray player, flat panel televisions in all bedrooms, DVD player in master bedroom. Fully equipped kitchen with dishwasher, microwave, blender, coffee maker, and enough pots and pans to make plenty of family meals. Washer and Dryer located conveniently off the kitchen. 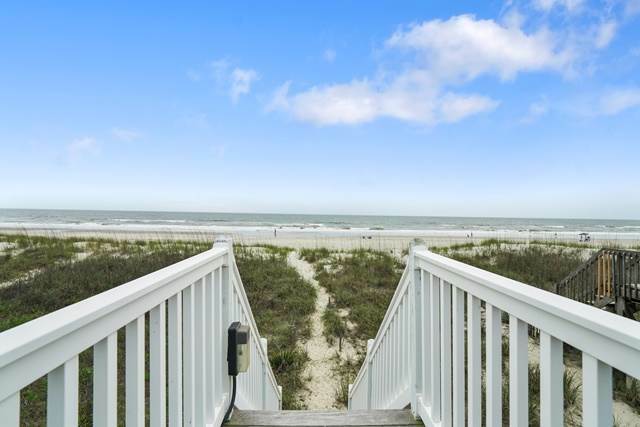 Expansive covered porch and sundecks to enjoy the beautiful oceanfront views! Private walkway to the white sand beaches, and charcoal grill provided. Wireless internet is provided in this home. Non-smoking, no pets. All beds are made and bath linens provided with this rental. This property sleeps 14 comfortably in the following bedding configuration. Upstairs: King, Queen, Queen, Queen. Downstairs: King, Queen, 2 Singles. We rented based upon the pictures and online descriptions, but arrived to find that the property had been completely remodeled and redecorated. The amenities are great with easy beach access, large porch, and pool. Large bedrooms and plenty of bathrooms for our family. Kitchen was equipped with many necessary items. Plan to come back next year.